Gorgeous day. Very productive. 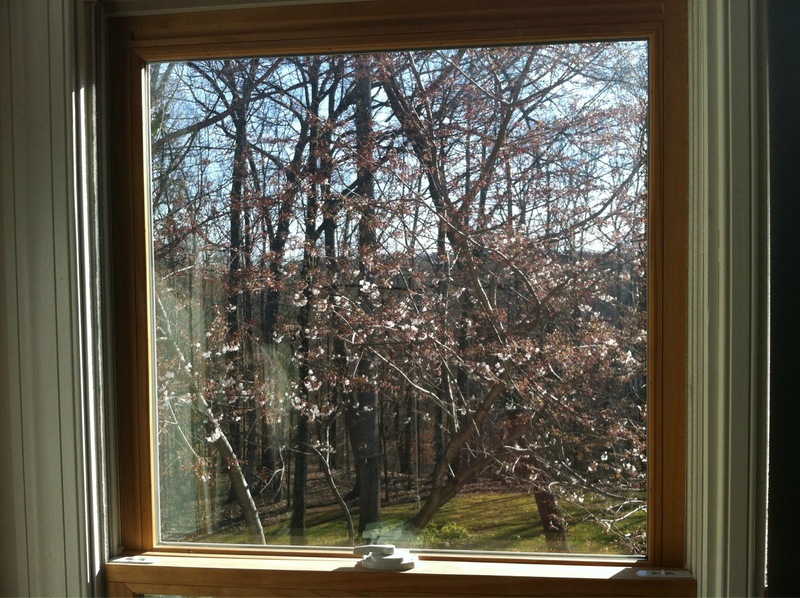 Spring has sprung. finally the feathery lace of spring arrives. Cut the hole for the cockpit and hatches. 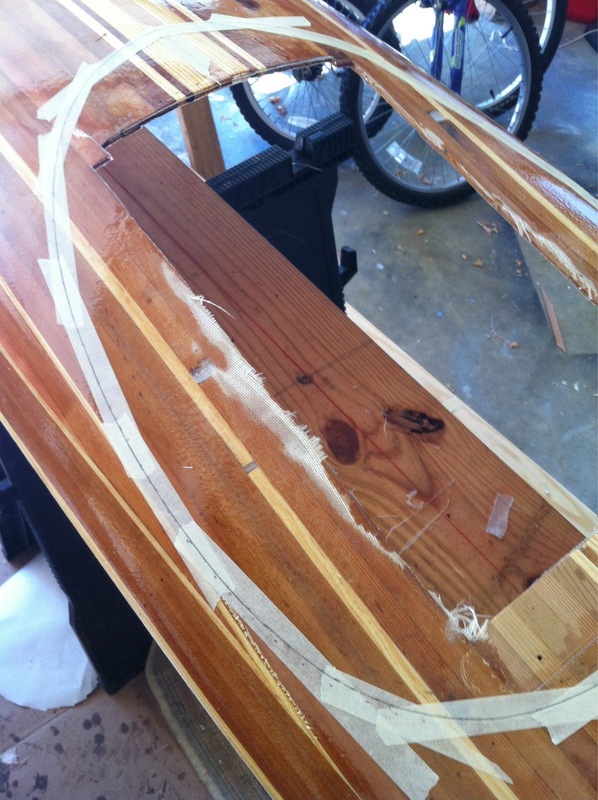 Started on the coaming. For the cockpit I made a template out of a 1x pine board representing the outside face of the coaming. 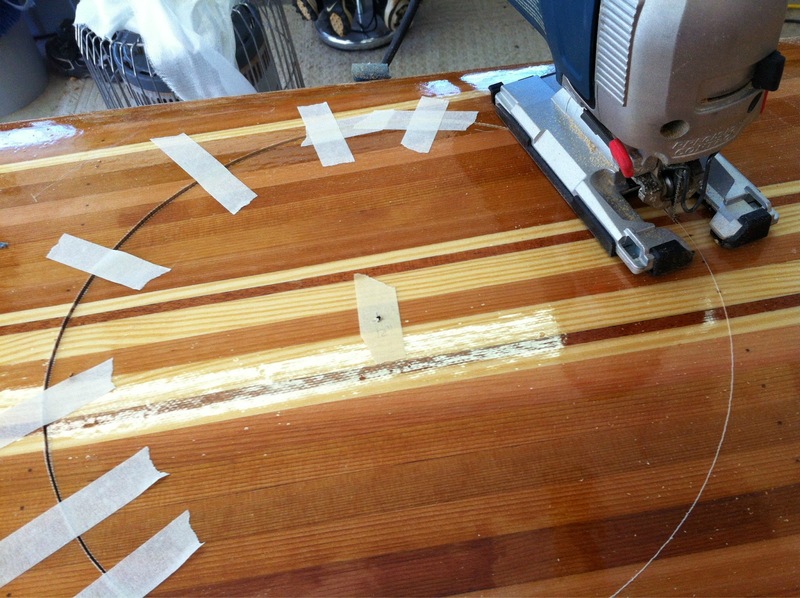 Clamping this in place on the deck, tick marks were translated to masking tape by use of a framing square. These marks were faired with a light batten and cut to with the jig saw. I attempted to keep the blade vertical, but some truing was done with a file afterwards. Determined to make yellow pine behave, I glued up the coaming with 1/4″x 2″ pieces and accented with 1/4″ square mahogany. coaming glued up to be followed by a laminated lip. This was followed by scribing the holes for the hatches. I thought a simple circle would be better looking than an ellipse or some sided hatch. 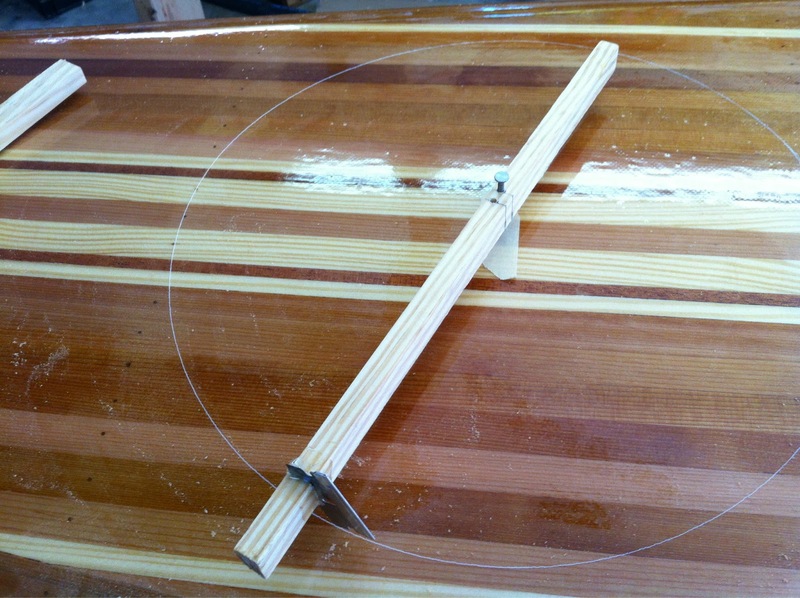 I made my own beam compass with a stick to which I glued a fresh razor blade and slid a nail through pre-drilled holes for a 12″ and 11.5″ diameter hatch. The center of the hatch was marked with a hole to receive the nail. The compass was then ever so lightly rotated to mark the deck. No attempt was made to cut. This would have resulted in the blade walking away from the circle and creating a mess. The jig was started by a succession of holes drilled along the cut line. The scratched circles were very easy to follow, better than any pen or pencil mark. 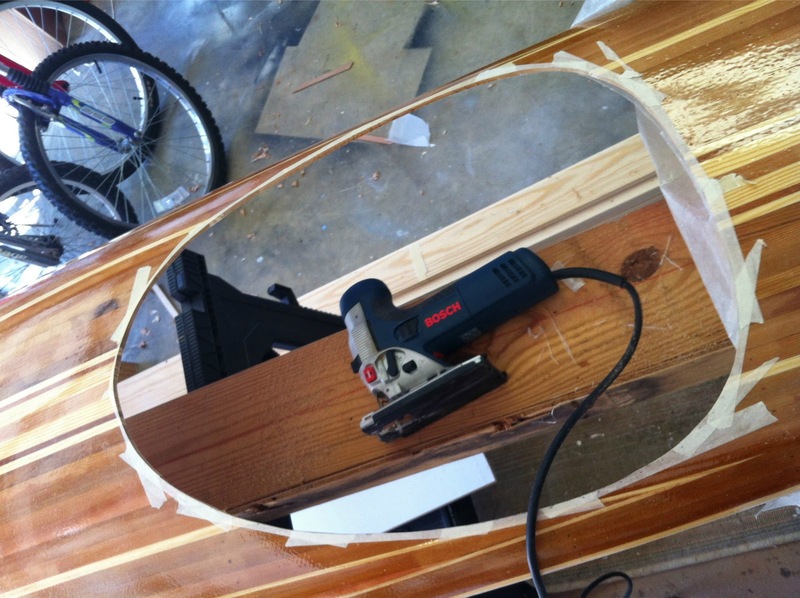 tape holds edge of jigged hatch. 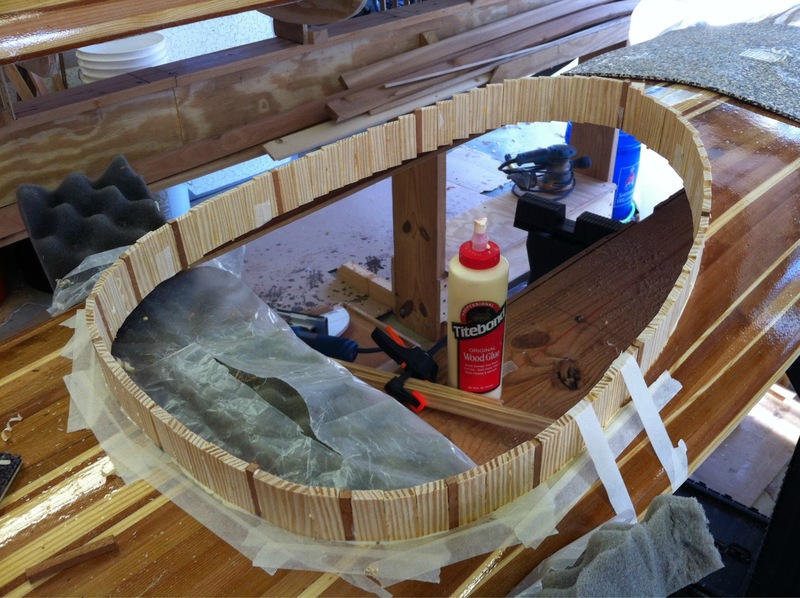 I will fill the holes in the center of the hatches with a small dowel for accent. It’s fantastic when all goes to plan. I’m starting to feel like a pro! Hopefully it won’t be short lived. 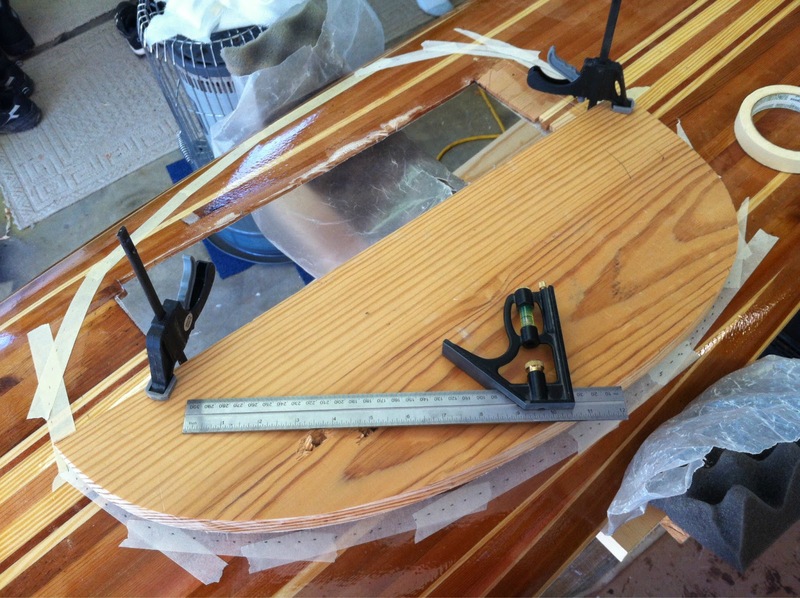 The joining of the deck & hull lingers out there.